While going down any pipe, press start just as soon as you start going down the pipe. This will only work in this way using pipes that go down (not up or sideways). Now hit select to exit the level (you need to beat that level before you are able to do this). Go into any map to find that you will drop through the floor, potentially revealing some heavily distorted graphics in some stages, beta/development areas (as shown in video below) in other. While others, may allow you quick access to beating the level (and potentially unlocking the bonus stage for that level) – this is great for speed runs. Many times, you may find yourself to be killed due to a “death” trigger that resides below the map. One YouTube commentator has stated that this will only work on 1.0 versions of the Japanese (J) and American/European (UE) cartridges. It is unconfirmed if this will work on version 1.2 for either region, but most likely, not. Version 1.1 never made it into manufacturing, possibly because new bugs were discovered that they patched into version 1.2 that was produced and manufactured. Warning: There is reports of save game corruption when performing this glitch. This will not physically damage the game; however, it may corrupt your saves, making you have to erase it to continue playing. On the boss level in the Tree Zone, at the very beginning, if you jump all the way to the left you can stand on an invisible platform? On the first level in the Pumpkin Zone, if you can get the vampire at the end of the level to summon multiple bats in the same space on the screen, by chance, you are able to glitch out the ending of the level and be placed behind the vampire where you seemingly will become invisible until you go lower in the map. You will also not obey normal physics at all and you will proceed to fall through the floor. Unconfirmed: In the second level of the Pumpkin Zone, after the water and Boos, there are some blocks. If the player is Super Mario, they should destroy only the first block in the first column, by spin jumping. The player should then run back into the pipe. If done correctly, instead of going back to where the Boos are, Mario will then go through the wall, and be back to where the pipe leading to the water is. Using a similar technique to the pipe glitch, you are also able to take stage-specific items out of the level with you. In this video, the source reveals, by pausing the game and exiting the level as soon as he gets the bubble in the “Hippo” stage in Wario’s Castle you will be able to take the bubble with you to any stage you want. The bubble will have garbled graphics that will change over your progression of the level due to the sprite no longer being loaded into memory, depending on the stage you select. Questions & Theories: What other special, stage-specific items will this work with? For this glitch to work, you must be small Mario. On the second stage in the Turtle Zone, go down into the water and pass the bone fish and drop down lower when you reach the shark, now go all the way to the left and jump against the wall (above Bullet Bill). This will reveal your carrot power-up, jump straight up and slightly move to the left to get the power-up. If timed properly, you should grab the power-up, but you should also grow bigger as normal, but into the ceiling, effectively glitching you into the ceiling and pushing yourself though the wall. When you are done being shifted through the wall, you should now have the wrong animation set when jumping, ducking, and most of everything else to a certain extent. If you pause the game while you are hitting blocks while the game is under heavy stress (from too many enemies or interactions), the block may set it self as different, random blocks. Questions & Theories: What type of blocks can they turn in to? Is there any connection or correlation with what they turn into to based on what they were before? Does this work on other things besides blocks? I tried to apply the pipe glitch while going up and sideways (in horizontal pipes) with no success; the only difference I noted when starting a level after exiting while going up in a pipe was that at the beginning, Mario appeared to be falling down from the air by a minuscule amount (as shown by Mario’s fist being up for a short moment). Thanks for clearing this up! 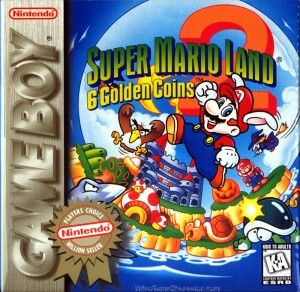 This game was my childhood in a cartridge. It took me years ago playing through it multiple times before I discovered a glitch at the tree/bee hive level (can’t remember the name exactly) where at the very beginning of the level, there’s a small area on the roof very left that if you can get yourself to jump through it, it will automatically slide you upwards off the level where all the game art turns into a huge garbled mess of random tiles that you can either walk, die, or get stuck on. You are missing the space zone. To get there, go to the upper left of the map, and you will find a hippo level. When you enter, you will find a hippo that spits out bubbles. Jump in the bubble, and go all the way through the stage, but finish the stage at the top in order to get access to the space zone. I know it’s 5.5 years late, but I hope this helped someone. I have a glitch similar to that of the pipe glitch and the one KDKO is talking about. Like him, I encountered it years ago and never managed to replicate it. This was I think in the tutorial level, or at least started out as the tutorial level. I can’t remember what happened, but I fell and encountered some glitch world, though it wasn’t as deadly as ones you encounter through the pipe glitch. I’m sorry I can’t be any more specific about what happened or how it came to be, but there you are. Not true. There is a v1.1 for the US as well as for Japan. I’ve seen a US copy, and myself own a copy of the JP version v1.1. Cannot confirm or deny these glitches.